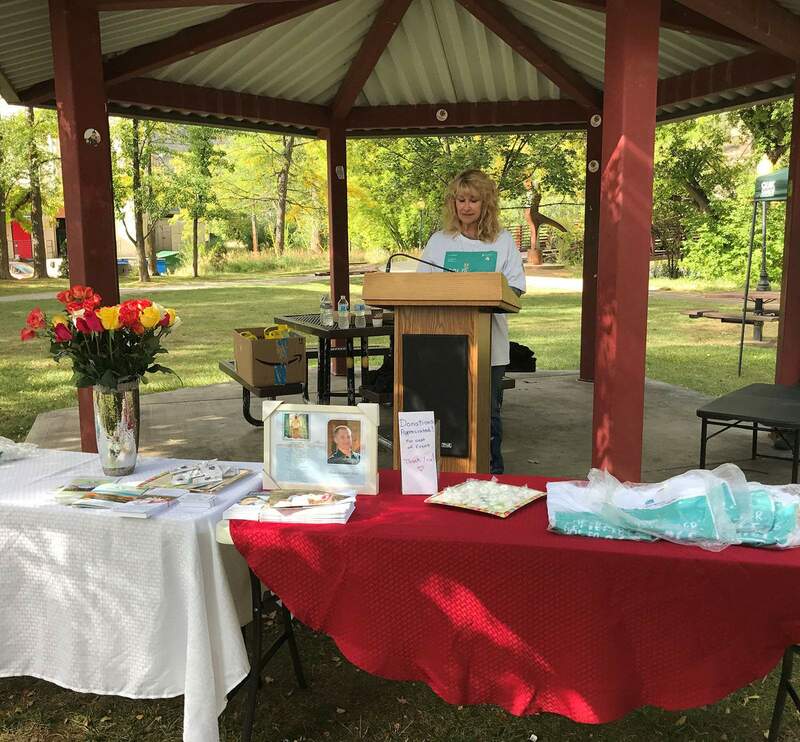 Deb Gibson, who lost her son, Shane, to an accidental opioid overdose four years ago, speaks to a crowd gathered at Iris Park on Saturday morning during the second annual Overdose Prevention and Awareness walk. A crowd listens to speakers during the second annual Overdose Prevention and Awareness walk on Saturday morning at Iris Park. Representatives from the Durango Police Department, Durango Fire Protection District and Southern Rockies Addiction Treatment Services were in attendance. 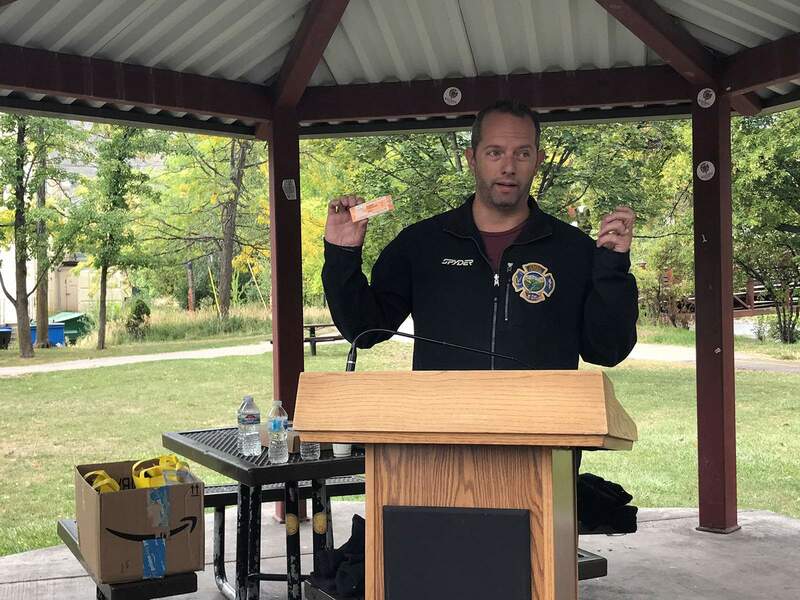 Bill Madison, a paramedic with the Durango Fire Protection District, explains how to use Narcan on someone who has overdosed during the second annual Overdose Prevention and Awareness walk. Narcan can be purchased from a pharmacist in many states. 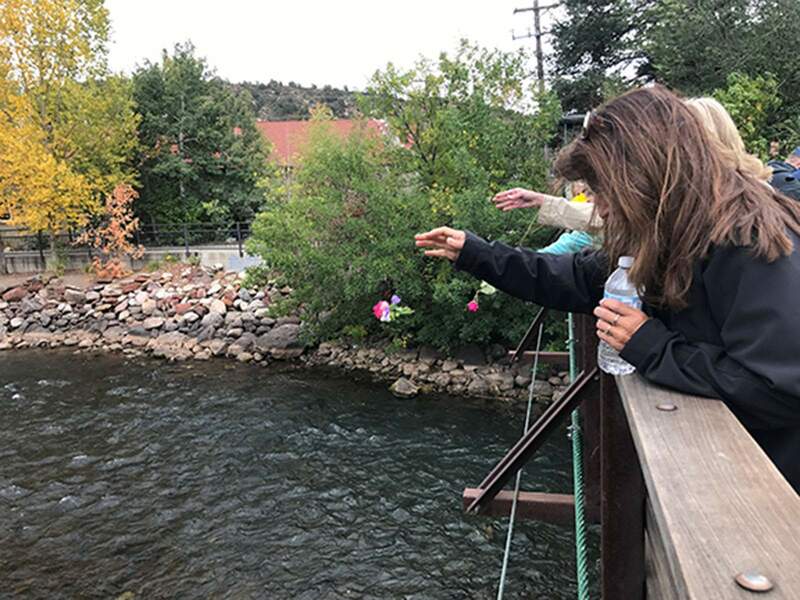 Attendees toss roses into the Animas River in honor of those lost to addiction and overdose during the second annual Overdose Prevention and Awareness walk. Deb Gibson lost her 21-year-old son, Shane, to an accidental opioid overdose four years ago. Since then, she has made it her mission to raise awareness about the opioid epidemic in America. Gibson organized the second annual Overdose Prevention and Awareness walk Saturday morning at Iris Park in Durango. Gibson made a plea for people to lock their medicine cabinets because that is where her son and his friends started getting the pills. In Colorado, 912 people died from overdoses in 2016, and 758 were unintentional, according to data from the Colorado Department of Public Health and Environment. The event featured several speakers including representatives from the Durango Police Department, Durango Fire Protection District and Southern Rockies Addiction Treatment Services. He said many people start using prescription opiates for injuries and become addicted. Drew, who didn’t give his last name, a recovering addict, said he lied to his family for two years about his addiction before getting help. Paramedic Bill Madison described Narcan as a reversal agent for opiate overdose. Narcan can be purchased from a pharmacist in many stores, and Madison encouraged people to buy it if they suspect a family or friend of using opioids. Cindi Taylor with the Durango Police Department told people to dispose of opioids and other drugs at the police department. She also spoke about the recently-enacted Good Samaritan law that provides basic legal protection for those who assist a person who has overdosed. 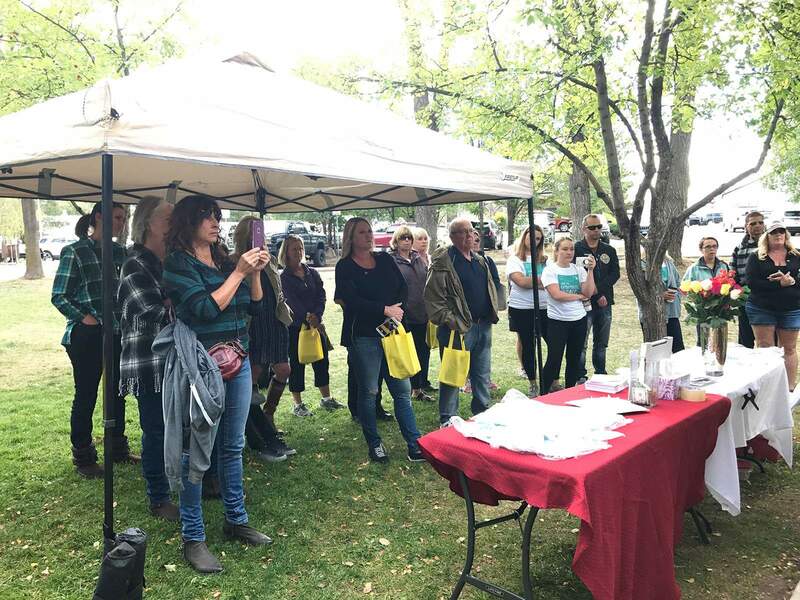 The event concluded with a walk along the Animas River, where people tossed roses into the water in honor of those lost to addiction and overdose.